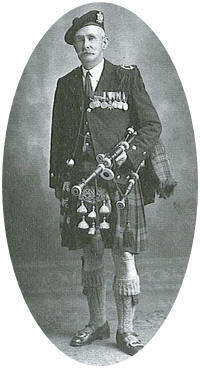 Lochanside was composed by Pipe Major John McLellan DCM. He died at 73 on July 31, 1949 at Dunoon Cottage Hospital after a short illness and was buried with full military honours in Dunoon Cemetery. A plaque was erected in his honor in the Castle Gardens in Dunoon near the pier in 1972.